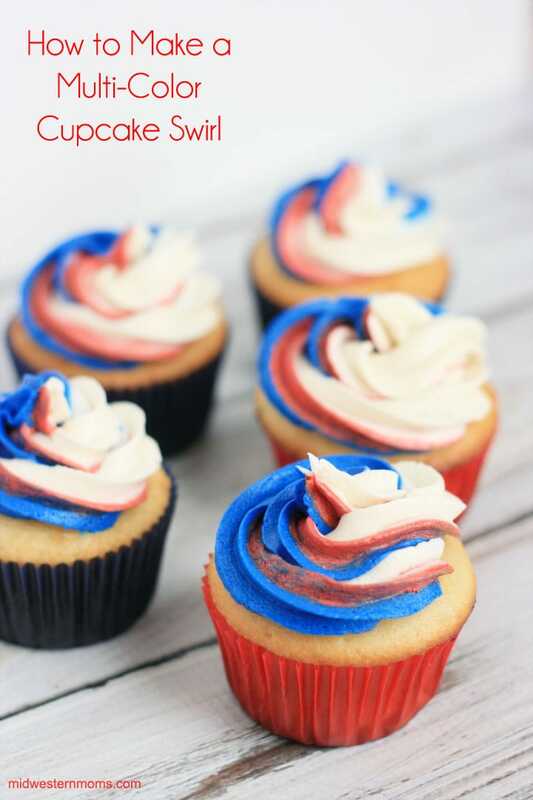 I wanted to make some cute Fourth of July cupcakes but I wanted my icing to be red, white, and blue. 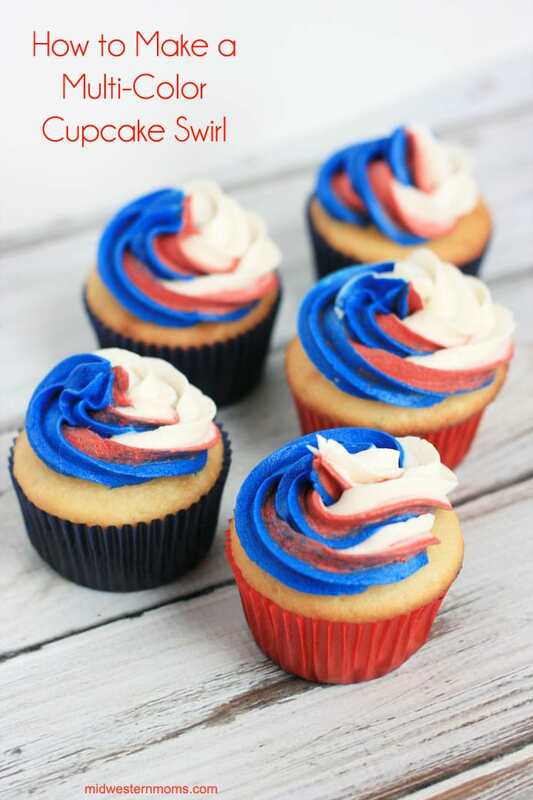 So I needed to figure out how to make a multi-colored cupcake swirl. After working some things out, did it! After making my buttercream icing, I divided my icing into thirds. One batch I made red, another one I made blue, and I left the third one white. Now I was ready to try and get these colors onto the cupcakes. 1. 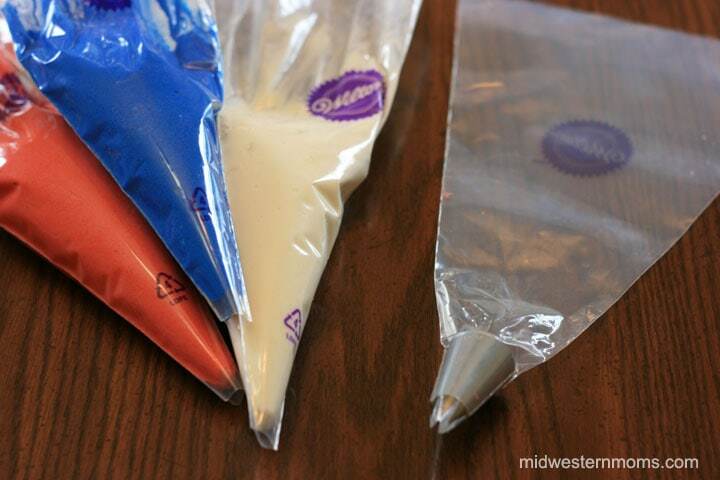 Put the red icing in one decorating bag, blue icing in another decorating bag, and white in a third decorating bag. I would advise not putting all your icing into the bags. I did and it made it a little bit tough to put into the 4th bag. Also, do not allow the icing to go all the way to the bottom of the bags. 2. Snip off about an inch from the bottom of the bag. 3. Snip off about an 1.5 to 2 inches from the bottom of the 4th bag. Place your 1M tip inside. 4. 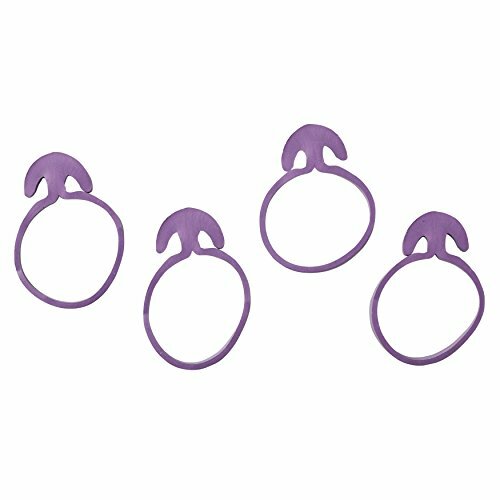 Place your 3 filled decorating bags inside the 4th bag. You may need to make adjustments as needed. Personally, I cut small slits down the sides of the 4th bag to allow room. Don’t forget, I overfilled my icing bags so I needed more room. I could have removed some of the icing but I was going to make it work. 5. Make sure to test pipe some icing before working on your cupcakes. 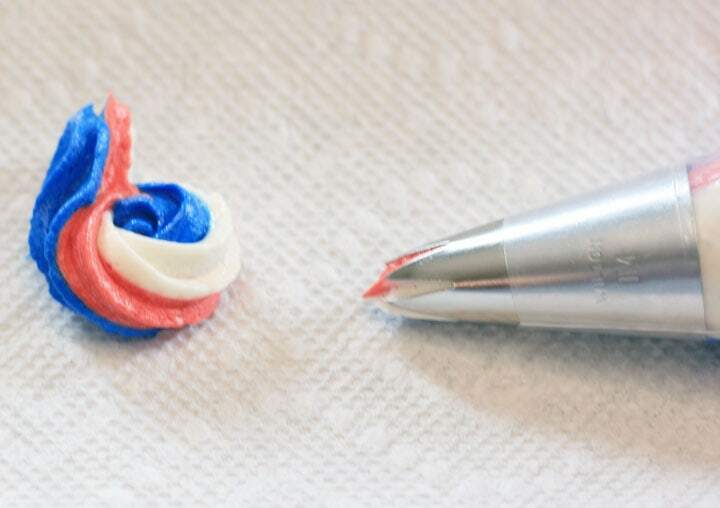 You need to make sure you are getting all 3 colors when you are piping. 6. Now you are ready to pipe the icing on your cupcakes! This can be customized to your icing needs. You may only want 2 colors and you may want different colors. Just have fun and see what happens.